DUO`s success in the top water category was established via its introduction of the Pencil 110. Its effortless ability to “walk the dog” and exemplified quality and durability, gave it a place in the market. Now, DUO International is introducing new Realis topwater which may need its own category. Pencil Popper 110 is yet another advancement in lure fishing and is swollen with attributes others have yet to experience. 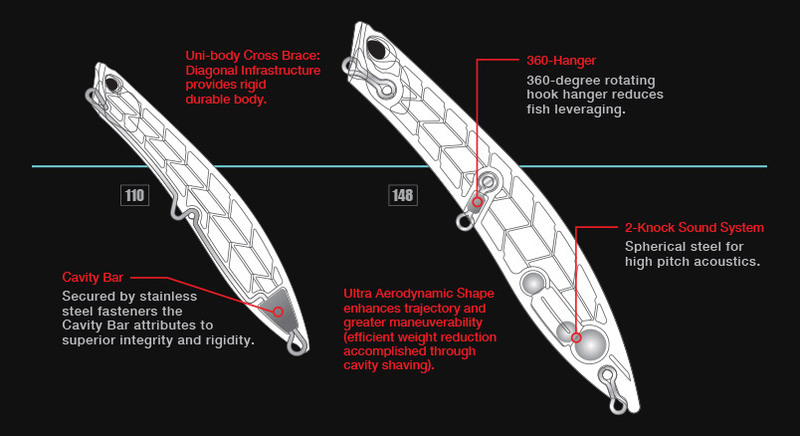 You will notice close up its shape, the bends and curves and tapered points all pertain to engineering keys that unlock their aerodynamics and hydrodynamic functions which will pleasantly surprise you as many discriminating and professional anglers are discovering already. The internal super-structure adjoins over 40 intersecting diagonal beams creating super rigid body core. DUO’s molding technology is one of the most advanced in the world, giving this company the sole ability to create a super structure designed to withstand bone-crushing encounters with giant game fish. No matter what line type or diameter is provided, the aerial track of PP110 is consistent, accurate and will out distance standard top water configurations. 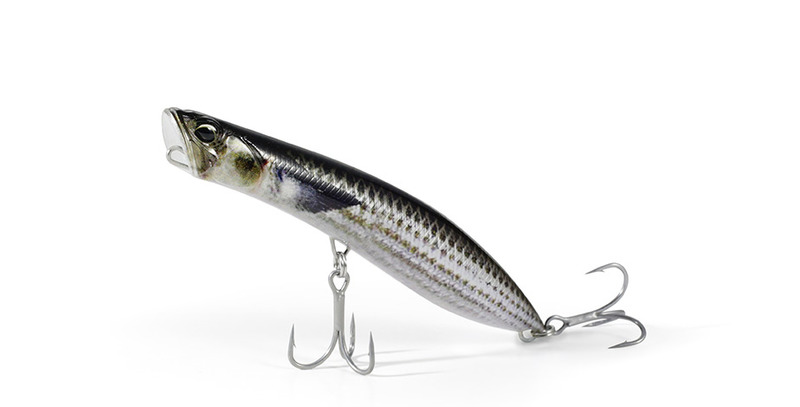 The poppers mouth enters the water line at approximately a 45-degee angle allowing the lure to displace a significant amount of surface-water. 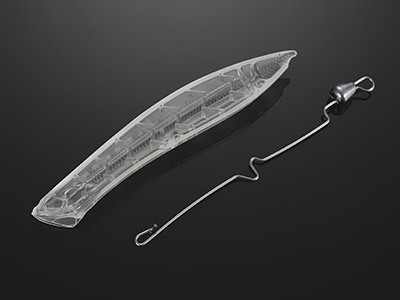 The dual-purpose lure not only pops, but it can be walked in less stable surface conditions. The 110 articulates a smaller swim pattern to call game fish fixated on smaller forage, but make no mistake, the little brother catches big fish and due to wire-through construction and is also able to handle them without any problem. By integrating ladder rib structure along with through wire construction, PP110 has enough strength to handle largest of fish.